Gun rights activists in California aren't happy about stricter gun legislation signed into law last week and are protesting to prove their point. California Gov. Jerry Brown signed six gun control measures into law on Friday. 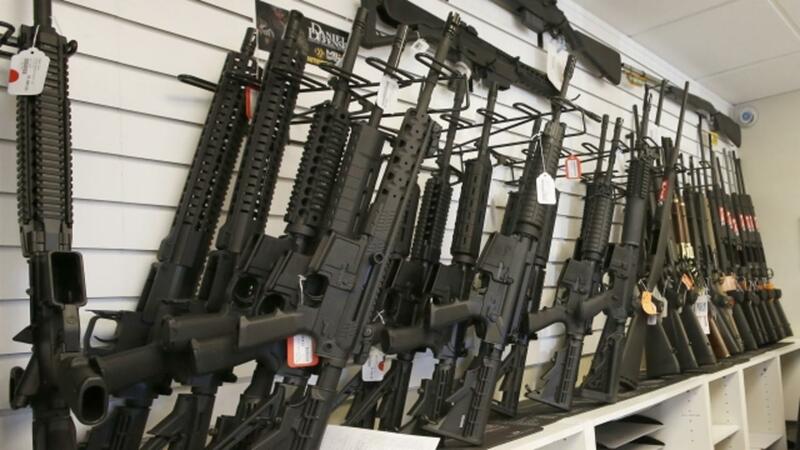 They include a broader ban on assault weapons and background checks for people buying ammunition. California's Senate President Pro Tem Kevin de León said it was "a historic day" when the package passed Thursday. He told the media, "I don't know how much more blood needs to be spilled in our schools, in our community centers, in public spaces, until the members of Congress act and we can do this nationwide." SEE MORE: "California Tightens Gun Laws In Aftermath Of San Bernardino, Orlando"
Protesters who gathered peacefully in Sacramento on Saturday said those new restrictions would turn "law-abiding citizens into criminals." The Sacramento Bee reports that the protesters had initially hoped to stop the laws from being signed, but now they want to get the message across that they won't follow along when the legislation goes into effect next year. Following the signing, Brown said his goal was to protect gun owner's rights while improving public safety. Brown did veto five other gun control bills he felt were too restrictive. "You steal a fire arm, it should be a felony. And that gets vetoed and yet they want to take away all the guns that we have," protest organizer Mel Scott said. The legislation was introduced shortly after two attackers killed 14 people in San Bernardino last year. It was pushed through the legislature after the Pulse nightclub shooting in Orlando last month renewed the nationwide debate about ways to prevent gun violence. This video includes clips from KERO, The Sacramento Bee and images from Getty Images and Facebook / American Patriot the III% Northern California.